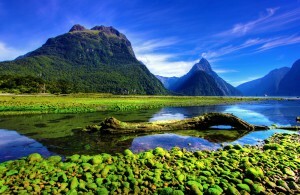 New Zealand is a country in the Southwest Pacific Ocean, which is famous for its beautiful landscapes, forests, fjords, and a large number outdoor sports and activities. 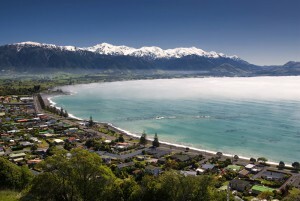 It is also known by the name of “Land of the Long White Cloud” and makes a perfect destination for a holiday/vacation. This immensely beautiful country in the world has been famous for its natural wildlife and its large area is covered with the animals. There are many alluring sights that could leave you awestruck. So, if you haven’t been to this amazing land and planning a trip soon, here is a list of the places that will make your visit all the more memorable. Make a list while planning your holiday so that you don’t miss the major essence of this lovely place. Milford Sound: Milford Sound is located in the southwest of New Zealand’s South Island that happens to be an amazing and beautiful tourist attraction. Lying at the most northern and accessible end of Fiordland National Park, Milford sound offers some of the world’s most staggering coastal scenery with its dramatic peaks and dark blue waters. It is a fusion of spectacular natural features with amazing visual cues around every corner. The place is definitely worth a visit. 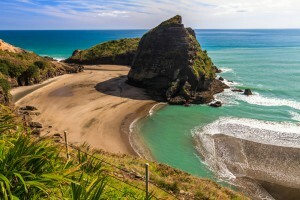 Bay of Islands: This sub-tropical micro region is yet another charming place to explore in the country. Located on the east coast of the Far North Island, it is a prominent spot famous for fishing, sailing and enjoying nature walks at the coast side. The incredible views of the natural beauty will steal your heart and you will lose yourself to the agility of the turquoise blue waters. Your trip to New Zealand is meaningless without a stopover at this haven. 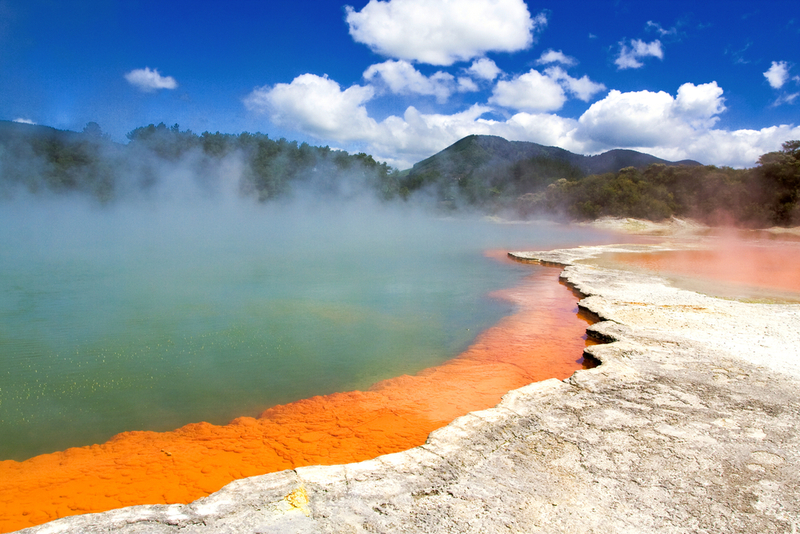 Rotorua: Rotorua, a town set on its namesake lake on New Zealand’s North Island, is a cultural center for the indigenous Maori people. It is known as the Thermal wonderland of New Zealand because of its numerous geysers and hot springs in and around the city. The mud pools are yet another attraction of this city that boasts a large number of colorful spots which make it a must-visit stop during your stay in New Zealand. 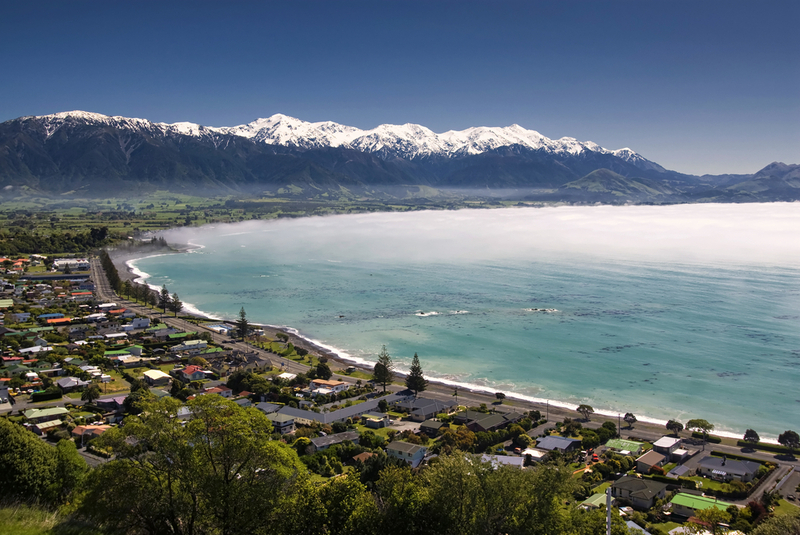 Kaikoura: It is a town on the east coast of the South Island, which is famous for the untamed marine life and is a popular spot for whale spotting. This picturesque coastal town is a perfect place for the nature lovers and those who wish to encounter the magic of marine life. Enjoy the priceless views, coastal walks along with feeling the charm of nature’s wonders by taking a trip soon. 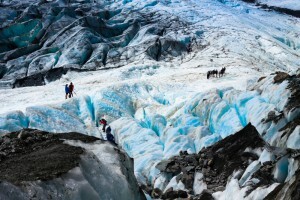 Franz Josef Glacier: Located within the Westland National Park in the southwest, Fran Josef is one of the world’s most easily accessible glacier. Take a helicopter ride or walk up to this huge glacier to experience its beauty the most. The dazzling ice on its peaks, dramatic caves and hot pools make it a major tourist attraction. You should definitely not miss a chance to hike it while on a vacation with your family and friends. The country has a lot more things and places to explore and enjoy. All you need to do is book a cheap flight to New Zealand and take a vacation with your family or friends at budget friendly prices with Travelation’s amazing offers on flights to New Zealand. Previous Previous post: The Busiest Airports of America!